Ten-man Preston inflicted the first defeat of Marcelo Bielsa's reign as Leeds head coach with a well-deserved 2-0 victory in the second round of the Carabao Cup. Bielsa had enjoyed a seamless introduction to English football, but he suffered his first setback on Tuesday night, albeit after making nine changes to Preston's seven with one eye on Friday's Sky Bet Championship clash with Middlesbrough. Leeds dominated possession in the second half, but failed to carve out a clear-cut chance as they limped out of the cup. 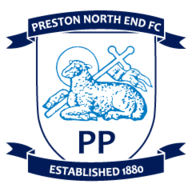 Preston had not tasted success since their first-round win over Morecambe - picking up only one point from three Championship games - but they made the perfect start at Elland Road. After Stuart Dallas gave the ball away deep inside his own half, Conor Shaughnessy tripped Louis Moult in the penalty area and Johnson sent Jamal Blackman the wrong way to score his first goal of the season. 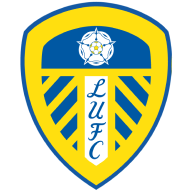 The Leeds players involved in the early concession were making their comebacks from injury - Shaughnessy back in the side after seven months on the sidelines - and a lack of cohesion was evident early on. Tom Barkhuizen had a shot deflected wide with the hosts still rocking and it took the Championship table-toppers a while to get going. Jamie Shackleton, 18, had a shot tipped over by Chris Maxwell and the tie appeared to swing in Leeds' favour on 30 minutes when Ledson was sent off for a wild challenge on Lewis Baker. Pontus Jansson had a header cleared off the line by Ben Davies and Patrick Bamford had two efforts saved by Maxwell as Leeds sought an equaliser before the break. But the home crowd were stunned when Barker fired a left-footed strike across Blackman and into the top corner after picking up the ball midway inside his own half. Bielsa acted by introducing Samuel Saiz and Mateusz Klich at the interval in place of Shaughnessy and Shackleton. Spanish playmaker Saiz got Leeds going immediately, with his run and pass allowing Bamford to fizz a shot just wide. But Preston remained dangerous on the break despite their man disadvantage and almost scored a third when Johnson had a low effort saved by Blackman. In the end, they did not need it as the Leeds siege never came.